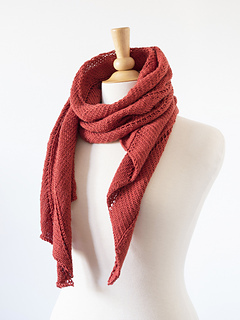 Spring Roll is an airy scarf knit with cotton DK weight yarn. 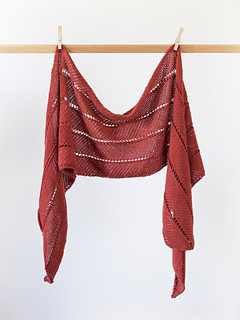 This design is knit on the bias from end to end and has bands of stockinette, reverse stockinette and eyelet stitches. 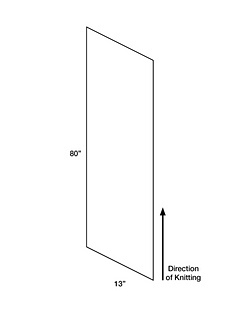 Length is adjustable. 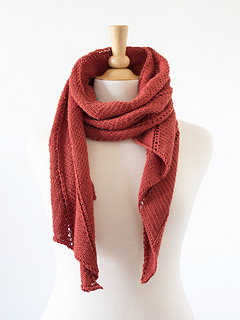 Sample scarf knit with Cascade Ultra Pima in Paprika 3771. Blocking required. Enjoy!